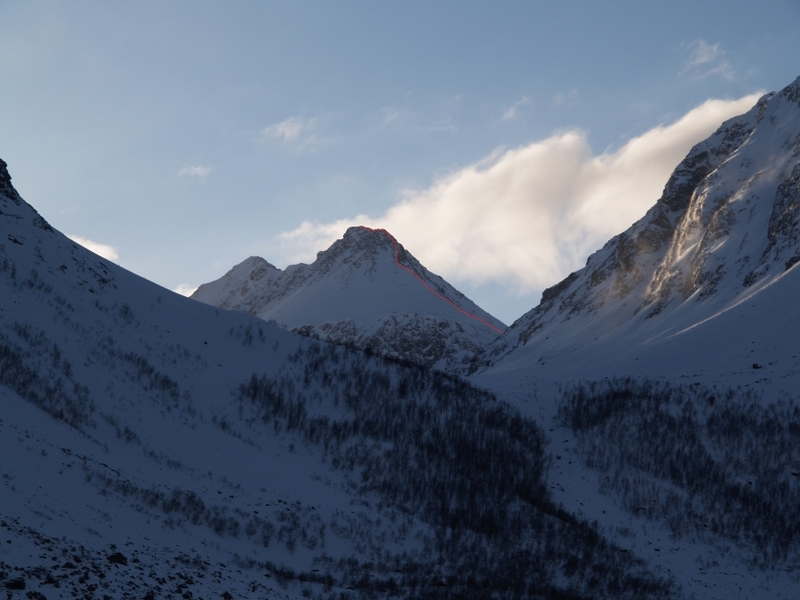 The North ridge of Kvalvikdalsfjellet as seen from Kjosen. A brief route description: Start from Rørnes in Kjosen and follow the South shore of the fjord for approx. 3 km until you reach Rødbergdalen. The going is slow due to huge boulders. Follow Rødbergdalen up to Rødbergdalsbreen and the North side of Kvalvikdalsfjellet (3,5 km). Easy scrambling along the North ridge to the summit. Climbed by Bjørn Arntzen and Geir Jenssen, 7. June 1989. 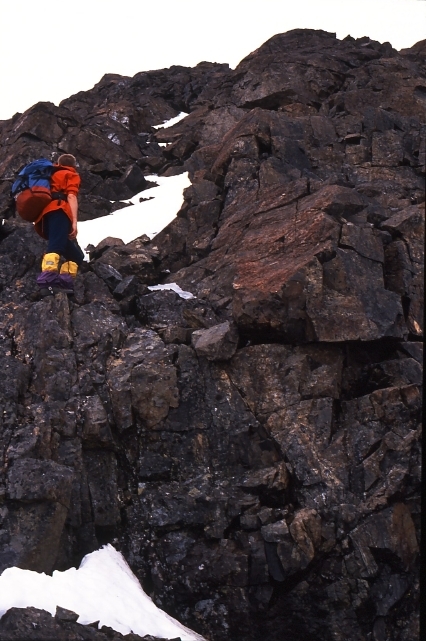 Approaching the rocky, upper part of the North ridge. 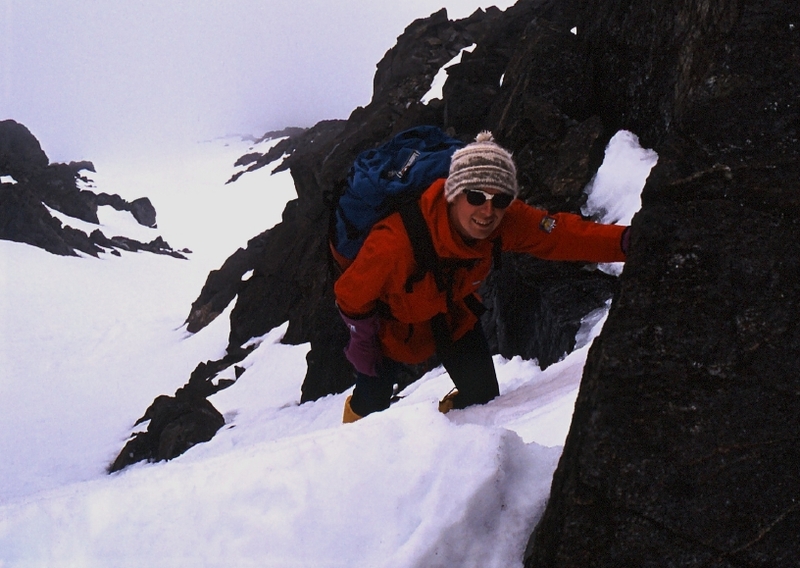 Bjørn Arntzen on the North ridge. 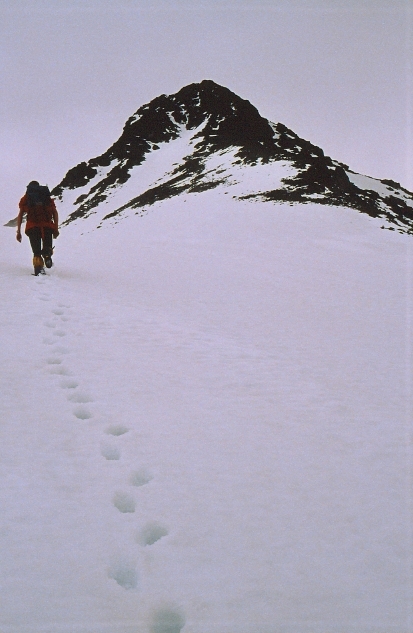 Bjørn Arntzen below the summit.